Ngalau Indah is a cave area on the slopes of Mount Simarajo, Payakumbuh, West Sumatera with very unique contours, beautiful terraces and rocky. 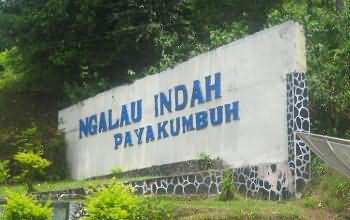 Ngalau Indah parking area is located at an altitude of a hill, around the edge of Highway 750 from Bukittinggi – Payakumbuh, with views out towards the city at some points. The site plan is fairly well made, installed near the parking area which shows the doors of the cave, the flow path, steps and what the visitor sees in Ngalau Indah cave. 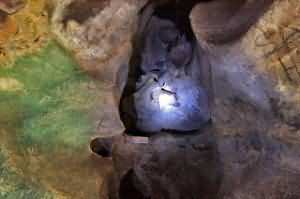 There is a large stone near the mouth of the cave. The steps towards the cave mouth is in good condition and easy to walk on, under the lush trees that shade the area. 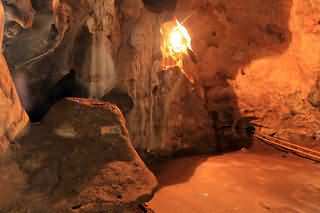 Inside, there are stalagmites and stalactites rock formed from limestone deposition process that lasted for hundreds of years. Both types of stone carving has a variety of shapes, with amazing ornaments, such as: bedroom, chair, mosquito nets and so forth. One part of wall of the cave is cream-colored with beautiful curves. Unfortunately, ignorant hands still littering the beauty of this cave. 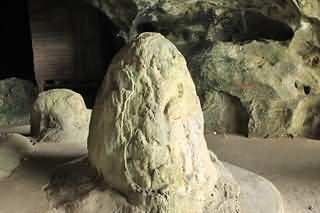 There is a spacious room, not far from the mouth of the cave where there is first elephant stone , and several other large rocks that resembled an altar. 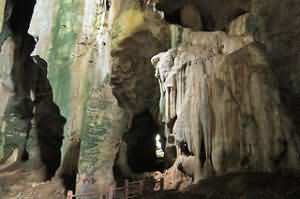 There is also a steps in Ngalau Indah with beautiful high ceilings clad in cream-colored limestone and gray. The lighting in this cave is managed pretty good, as well as the air circulation. In the lit flashlight, there is a wall of limestone rock containing quartz glimmering purplish blue when exposed to light refraction. Stalactite which resembles a giant mouth agape with rows of sharp teeth which partially chipped. 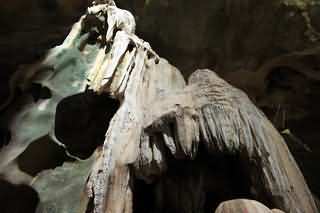 Rock stalactite and stalagmite in the cave are is named by the locals, among them called the Stone of Tear Drops, Stalk Stone Umbrella, Mosquito nets Stone, Stone Curtain Bride, and Crying Mother Stone. 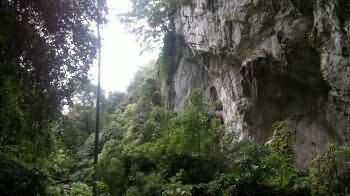 Limestone wall with a very high form of indentations in the Ngalau Indah cave. A stalagmites that resembled a king’s throne. Ngalau Indah walls are formed from molten limestone that lasted for hundreds of years to create artistic shapes. 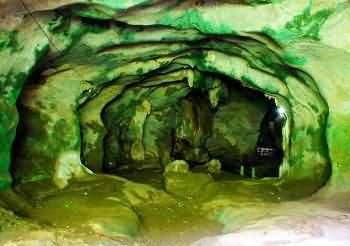 Ngalau Indah steps below the recesses of the cave white yellowish green. 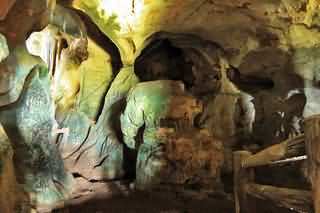 Although it looks a bit less clean and less maintained, but the condition of this cave is still quite good. The view toward the mouth of the cave, viewed from above the mouth of the cave that serves as the exit.